I have lost my heating top up card? Call us on 0115 955 6677 between 9 am and 5 pm Monday to Friday. We can get you a new card sent in the post or you can collect it on the same day that you call us. You can pay by card over the phone or pay cash when you collect the card. Faulty card or card not working at the shop? Call us on 0115 955 6677. We can get you a new one sent in the post or you can collect it on the same day you call us. Return the old card in the free-post envelope that will be provided. Contact Enviroenergy on 0115 955 6677, who will check if an engineer needs to attend. You may have a faulty card or credit was not loaded correctly in the shop. Frozen display? I.e. credit is staying the same amount. If one is not working contact Enviroenergy on 0115 955 6677 and who will check if an engineer needs to attend..
Move the slider switch to ‘Right’ using a non-metallic object i.e. a matchstick. Gently use a pen to press the black button that is under the slider. IMPORTANT Return the ‘slider switch’ to the run position. You will need to do a Black Button Reset. If that does not work, contact Enviroenergy on 0115 955 6677, who will check if an engineer needs to attend. If only the heating or hot water has stopped working, then contact your property owner MHT/NCH/private property owner for them to arrange for an engineer to attend as it could be a plumbing issue. Contact your landlord MHT/NCH/private landlord for an engineer as it could be a plumbing issue. 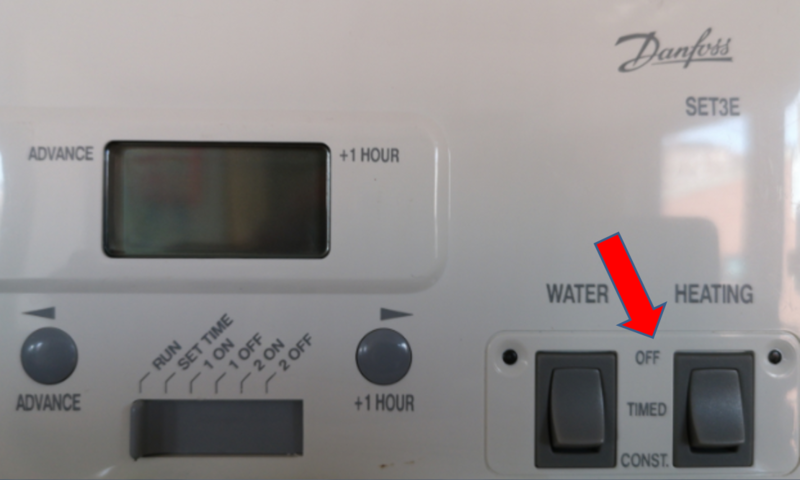 Noise coming from HIU/Boiler; but, meter is working. How many types of meters in your property? There are two types of meter. 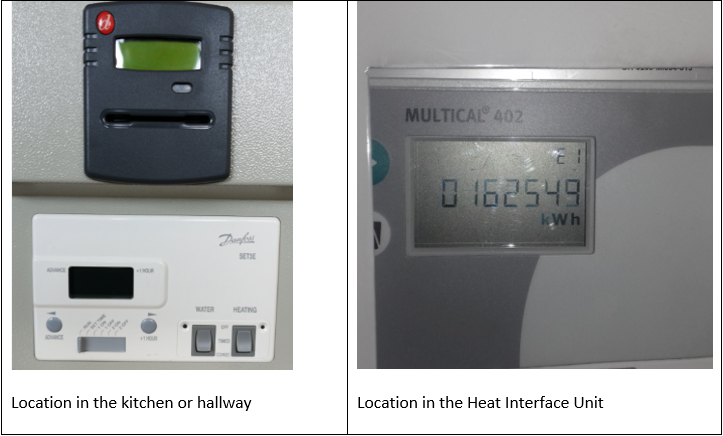 One is your prepayment where you top up (Left picture) and the second KWH meter for your energy use. Which is what your need to read and provide to us if you want a statement or an invoice. Do you want an up to date statement or invoice. Please provide a KWH read and the credit on the prepayment meter. 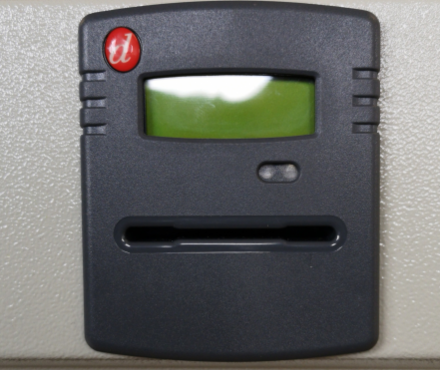 Where can you find a KWH meter read? 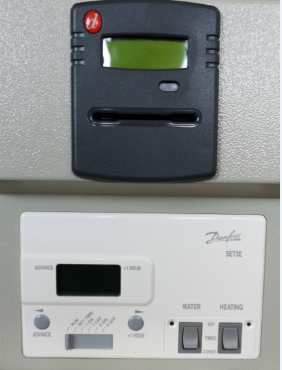 KWH meter reading is located in your Heat Interface Unit.